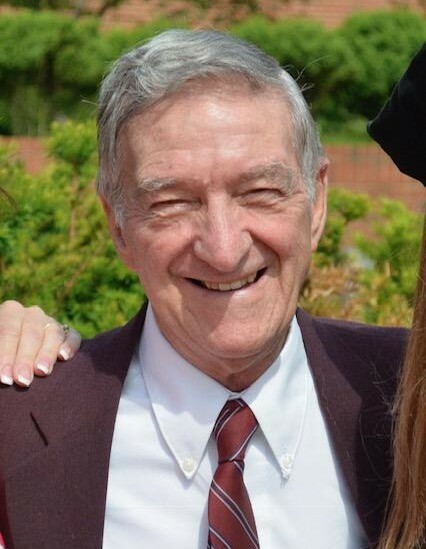 Henry J. Zukowski, 88, of Terryville and formerly of the Plantsville section of Southington, passed away peacefully at his home on Tuesday, January 29, 2019. He was the loving husband of the late Madeline M. (Nicoletti) Zukowski for 56 years. Born in New Britain on September 9, 1930 to the late Joseph and Rose (Nahille) Zukowski, he had been a long time Plantsville resident before moving to Terryville to be closer to his family. Henry proudly served his country in the United States Army during the Korean War. He worked as an electrician at the VA Hospital in Newington for many years. He was a member of the Saint Casimir Parish. He enjoyed the Red Sox and UConn basketball. He will be remembered for his unconditional love and patience for his five grandchildren. Henry is survived by his daughter Kathy Pope and husband Syd of Alexandria, VA; his son David Zukowski and wife Kellie of Terryville and his grandchildren: Joe, and his wife Katie Pope; Jess and her husband TJ Cooney; and Melanie, Mason and Keegan Zukowski and many nieces and nephews. He was predeceased by his ten siblings. In lieu of flowers, donations in Henry’s memory may be made to Saint Jude Children’s Research Hospital, 501 St. Jude Place, Memphis, TN 38105 or to the American Cancer Society, P.O. Box 22718, Oklahoma City, OK 73123-1718. A funeral service will be held at 11:00 a.m. on Monday, February 4, 2019 at the Plantsville Funeral Home, 975 S. Main St., Plantsville. Burial with military honors will follow at the State Veteran’s Cemetery in Middletown. Calling hours will be held before the service from 10-11 a.m. at the funeral home. For online condolences and directions, please visit www.plantsvillefuneralhome.com.